Resource packs are available to enhance your teaching. Includes verse visuals, word ups, reproducibles, coloring sheets, mission story Ravi Zacharias and more. 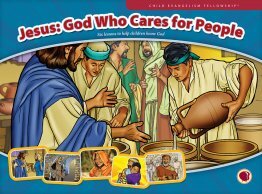 11" x 17" full-color resources: memory verse visuals, Word-Up (main truth of the lesson), resource booklet (review games and activities), UPS Rules, mission story on Ravi Zacharias. 8 1/2" x 11" back/white reproducibles: coloring sheets, memory verse bookmarks, Quiet Time sheets, decoration, Gospel Spotlights, interactive and review games, growth activities, Wonder Time. PPT visuals include flashcard visuals and words to suggested songs: Christ Redeemed Us, God Wants to Spend Time with Just You, Have You Heard?, His Name Is Jesus, Jesus Is the Good News, What's the News?, That the World Might Be Saved (John 3:16-17), Whoever Believes in the Son (John 3:36). PDF’s of lesson text and other helps. 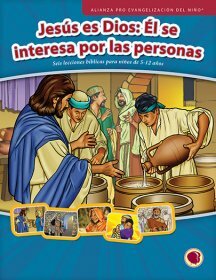 Includes verse visuals, teaching cards, resource booklet, everything in digital format that is the printed resource pack. 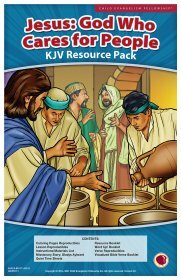 11" x 17" full-color resources: memory verse visuals, mission story on Ravi Zacharias (with English text), Word-Up (main truth of the lesson), resource booklet (review games and activities), UPS Rules. 8 1/2" x 11" back/white reproducibles: coloring sheets, memory verse bookmarks, decorations.